The PrimeTime Pickleball Team goes LIVE celebrating 10K subscribers! 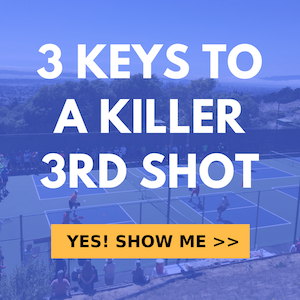 We answer many frequently asked questions about pickleball and PrimeTime. Why Jordan & Nicole started PrimeTime and how we see ourselves fitting into the pickleball instructional landscape. What paddle Jordan uses and why. This is one of the top questions we get asked on a regular basis. How to mentally prepare for tournament match play. Big thank you to everyone that supports Primetime by watching, sharing, commenting, liking our videos. We appreciate you and you can keep expecting helpful content from us. That’s what we do!